The Tisbury planning board and selectmen will host a public meeting at 7 pm, Wednesday, Jan. 28, at the Tisbury Senior Center to provide an update on the town’s vision-planning process. They also plan to identify priority projects and set an agenda for elected officials, town committees, and community groups. Last fall, the planning board conducted a series of community workshops where participants discussed community values, the town’s strengths and areas of concern, and a shared vision for the future. At next week’s meeting the planning board plans to review the vision-planning process findings, present action steps based on those findings, and seek community opinions on what should be short- and long-term actions. At an October workshop, community members listed 61 places, characteristics, and traditions in Tisbury that they consider treasures and want to preserve. 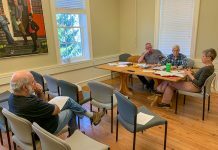 They also identified eight conditions that present a problem or limitation for Tisbury, as well as six favorable conditions that could create opportunities on which the town can build. 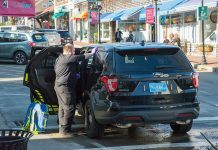 In November, workshop participants focused on four areas of opportunity, which included the working waterfront; downtown Vineyard Haven; pedestrian and bike circulation; and parks, beaches, and open space. A detailed summary of the first workshop, the current draft vision statement, and a survey for those who didn’t participate in the workshops are available via links on the town’s web site at tisburyma.gov. To receive future email updates, send your email address to visionplan@tisburyma.gov.